The Eddie Albert Gardens are located in Dodds Park at 1501 North Mattis Avenue in Champaign. Eddie Albert Community Garden plots are available for everyone – from the experienced gardener to the beginner. The gardening season begins during the first week of April. Water is turned on by mid-April. 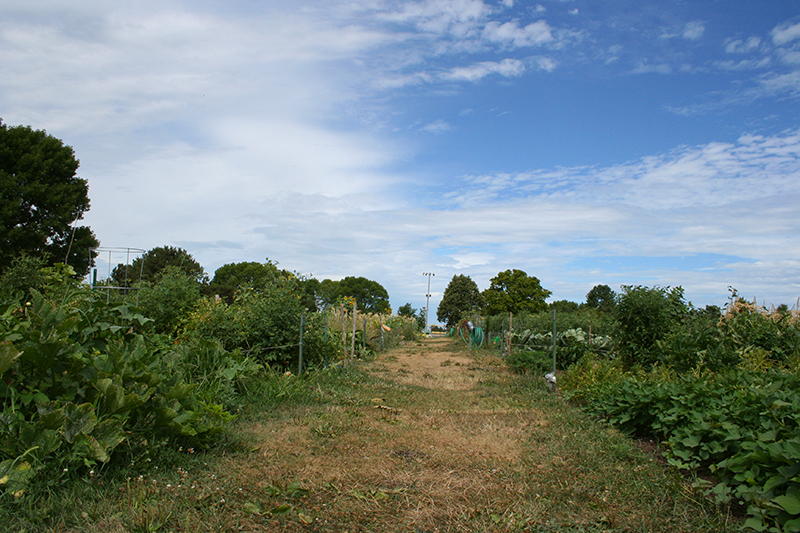 Plots are available on a year-round or season-by-season basis. Plots that are rented year-round do not need to be cleared by any particular time of year and are the year-round responsibility of the renter. Plots that are rented season-by-season must be cleared by October 21st. Please note: Spring till is the responsibility of the plot renter. Registration is at the Leonhard Recreation Center only. Sorry, no online registration is available at this time. Plots are available year-round in a 20′ x 20′ size or season-by-season in a 20′ x 20′ or 20′ x 30′ size. Elevated plots are available for gardeners with disabilities. Registration for returning gardeners (those who had gardens the previous year) begins December 1st. Registration for new gardeners begins December 15th.